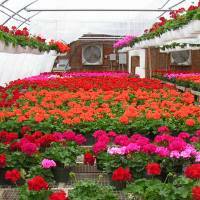 Horticulture International is the next step of this project that started in 2010 called AgriFoodGateway. We will continue our mission of transferring knowledge and disseminating applied technology to farmers, extension agents, and agriculture professionals worldwide. In this new phase, we will explore new methods of knowledge and technology transfer with the help of horticulture students. We also plan to develop new training programs that will be accessible to farmers around the globe.